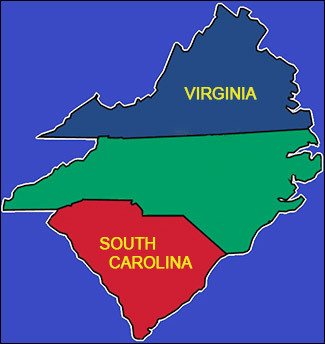 April 3, 2018 — As March ended, the two most recent filing states of Virginia and South Carolina reached their declaration deadline. We now see a majority of domains (28) posting a final set of political contenders in preparation for the coming primary season. In Virginia, we again see a familiar pattern, one that has often emerged in the preceding states. That is, a large number of Democrats filing against incumbent Republican House members, the overwhelming majority of whom have not previously run for office. Against 1st District Rep. Rob Wittman (R-Montross/Fredericksburg), in what should be a safe Republican district, five Democrats filed — including Prince William County School Board chairman Ryan Sawyers — and will be on the primary ballot. To the southeast, six Democrats, none of whom have ever previously run for public office, are challenging freshman Rep. Scott Taylor (R-Virginia Beach). Democratic leaders are pushing retired Navy Commander Elaine Luria as their preferred nominee. James County former supervisor, Mary Jones, is challenging Rep. Taylor in the Republican primary, but she is not expected to be a major force. Rep. Bobby Scott (D-Newport News) is the only incumbent in the 11-member Virginia delegation who will be running unopposed both for his party’s nomination and in the general election. Fourth District freshman Rep. Donald McEachin (D-Henrico) draws two minor Republicans and a Libertarian candidate. He will have little trouble securing a second term in a court-mandated district that was reconfigured before the 2016 election. The 5th District Democrats are taking advantage of Virginia’s unique election laws that allow party leaders in each CD to choose whether they nominate via primary or convention. Six Democrats, all first-time candidates, will battle for delegate support to determine which of them advances to the general election to face freshman Rep. Tom Garrett (R-Scottsville/ Charlottesville). The 5th District Democratic convention will meet on May 5. 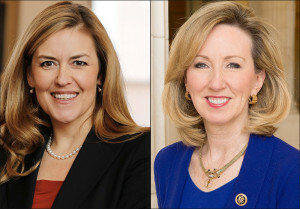 Both parties in the open 6th District (Rep. Bob Goodlatte retiring) will meet in convention to produce nominees. Republicans are scheduled for May 19, while Democrats have yet to announce a schedule. Interestingly, for the first time, the Republicans are adopting a plurality format instead of voting multiple times to ensure the winner receives majority delegate support. The western Virginia 6th District is the safest Republican seat in the state, so the eventual nominee becomes the prohibitive favorite in November. Sept. 18, 2017 — Virginia is the most unique political state in the country when it comes to nominating political candidates. Party leaders and the incumbents themselves have great authority not only to schedule their nomination date, but also over what process will be used to determine a nominee. At the congressional level, each district can independently decide upon its own nomination system irrespective of how the state and other CDs may operate. Therefore, some of the 11 districts may hold a direct primary, others a convention, and still others a “firehouse primary,” which is a hybrid between a convention and a direct primary. In this latter option, voters visit a polling place, often times in a firehouse, but the number of sanctioned voting locations are few and far between thus forcing people to drive miles in order to participate. The entire system is designed for party leaders and incumbents to exact strict control, and their decisions more often than not keep rank and file voters away from directly choosing the eventual nominee. Northern Virginia Democratic leaders are now contemplating what to do in the state’s 10th Congressional District where no fewer than nine candidates have already announced in hope of opposing second-term Rep. Barbara Comstock (R-McLean) in the 2018 general election. The 10th District Democratic Committee met over the weekend for purposes of discussing their nomination options, hence the serious discussion of limiting voter participation to a district convention.